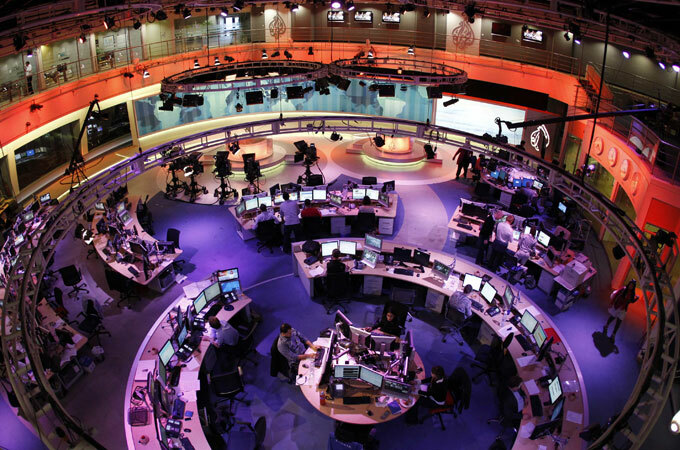 The Guardian has published an interesting interview with Al Anstey, Managing Director of Al Jazeera English. It’s a wide-ranging piece, covering everything from the disgusting behaviour of the Egyptian government in arresting Al Jazeera journalists on trumped up terrorism charges through to the network’s expansion plans. I’ve worked with Al at ITN and Al Jazeera. There’s no question in my mind that he’s one of the sharpest people in TV news. Highly intelligent and thoughtful about the role of international TV news, he’s robust in defending Al Jazeera’s reporting and has a comprehensive vision for its development. The idea of digital news as DVD box-set extras is very old-fashioned. It’s the same kind of thinking that saw TV companies early attempts at digital include behind the scenes video-diaries or cross-promoted longer versions of broadcast interviews. The reason it’s so disappointing is that it starts from the wrong premise. Rather than looking at what the audience wants and needs from a news service, it starts from the point of view of “we have this unused stuff, let’s shove that up online”. It’s the antithesis of providing a user-focused news service. Put crudely, journalists have made editorial decisions about cutting material to emphasise the key lines – if they thought there was value in using the stuff on the cutting room floor, they’d have already used it. Why would anyone think that time poor digital users want to sit through the extended cut? Al Jazeera English’s website needs over-hauling. The navigation is based on inheritance from the TV channel’s structure and its reporting looks divergent from the core news operation. It also needs to continue to break new ground using digital media to report from around the world and to engage with an increasingly digitally literate global audience. I’d also like to see put more focus on its eye-witness reporting, rather than the less interesting opinion pieces which, for me, sit oddly with the channel’s desire to provide impartial coverage of complex situations. I applaud Al’s desire to bring greater convergence between the digital and broadcast sides of his operation, but I hope he will bring change that will see more digital innovation based on satisfying audience needs rather than on making more of costly newsgathering at the expense of user experience. And just as I was thinking about this blog, I spotted this piece from Buzzfeed on innovative short-form video. It may work, it may not – but it seems to me to be a sophisticated attempt to engage with a tough to reach audience.